So… have you been caught up in the new-year-new-me frenzy created Marie Kondo’s best-selling book, The Magic of Tidying. If so, maybe, like me, you’ve found yourself folding t-shirts into small little stand-up packages and enjoying every minute of your new-found control, discipline and mindfulness. The Magic of Tidying and its #KonMari method is very much in step with Final Fling’s message to sort your stuff ‘afore ye go’. I feel sure whoever is clearing up behind us at the end of life will be very grateful for this tidying craze and the fact that we’ve taken responsibility for clearing up NOW and not leaving it to someone else. The simple method invites you to handle each and every one of your belongings, examine them and ask, “does this spark joy?” If it does, keep it (and put it somewhere with thought and care). If not, thank it and let it go. Maybe it doesn’t sound that life-changing but the method really encourages us to face our past and make choices as we keep and discard. A Japanese woman, Marie Kondo brings a real sense of ritual to the process, showing respect to her home and her belongings. The folding is a therapeutic meditation. The clearing is good for the soul. As she says, “Letting go is even more important than adding.” And this is all really critical in the context of preparing for end of life. It encourages us to focus on the joy in life. It focuses in on making active choices, keeping in control. And the outcomes – a real revelation for me. Not just a trite exercise in tidying but a deep philosophical connection with self about values. Many chances to visit the past and choose the future. The process starts with clothes – relatively easy. 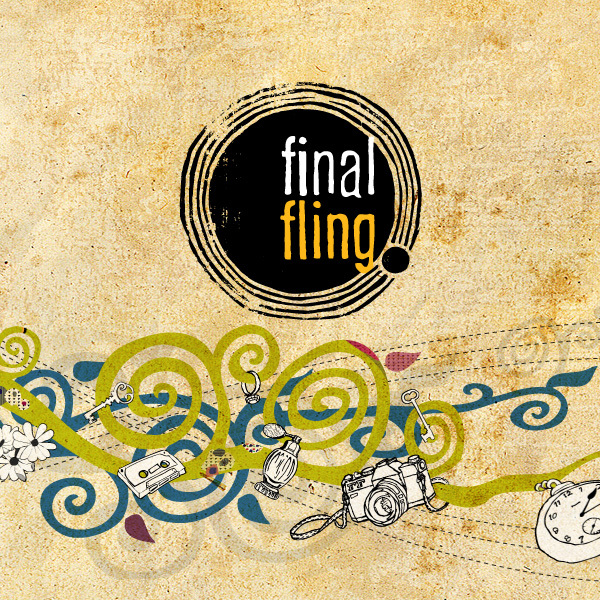 When you get to paperwork, you’ll be glad of Final Fling’s Safe Deposit Box– the easy way to store essential paperwork, ready to pass on. You finish up reviewing sentimental objects, once you’ve honed your skills. I recommend giving it a go – and doing it properly if you’re interested in real change. Face your choices. Restore balance. Hone decision-making skills. Take responsibility. Do it all on your own – an exercise in independent thinking. If you’ve struggled in the past to let go of other people’s stuff, I guarantee this is will help. The clearing of sentimental objects and belongings comes right at the end of the process for good reason. By the time you get there, you will have let go of potentially hundreds of objects. You’ll be much better at trusting your instinct and judgement. You will begin to realise and feel that it’s OK to let go. Letting go is liberating. It makes way for the new. It’s a real detox. Just the way to start a new year.